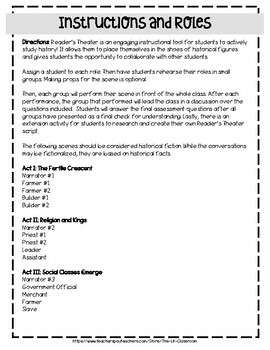 Each act includes discussion questions. 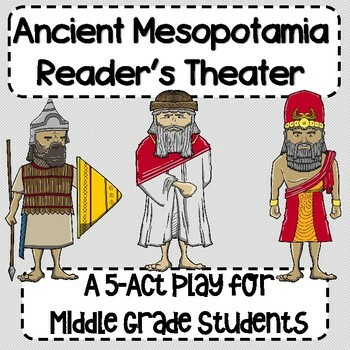 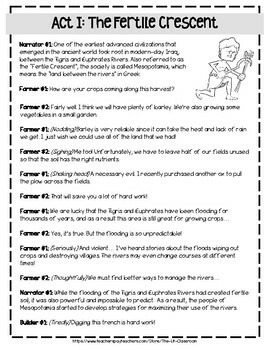 There is a quiz for students at the conclusion of the play, as well as an extension activity in which students will create their own script for technology in Mesopotamia! 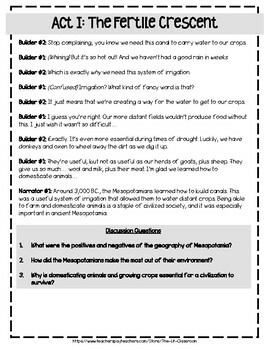 Answer key is provided for the quiz.